Photo courtesy of Pamela Batchelder. The fire began on a 1984 Symbol 41 and spread to a neighboring 1989 44-foot Viking. 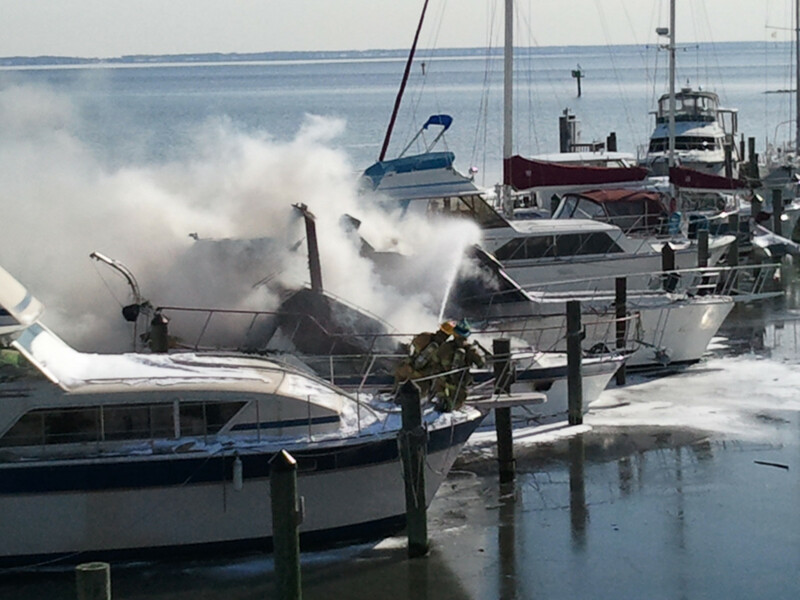 Each of the boats sustained about $100,000 in damage, city fire officials told the paper. 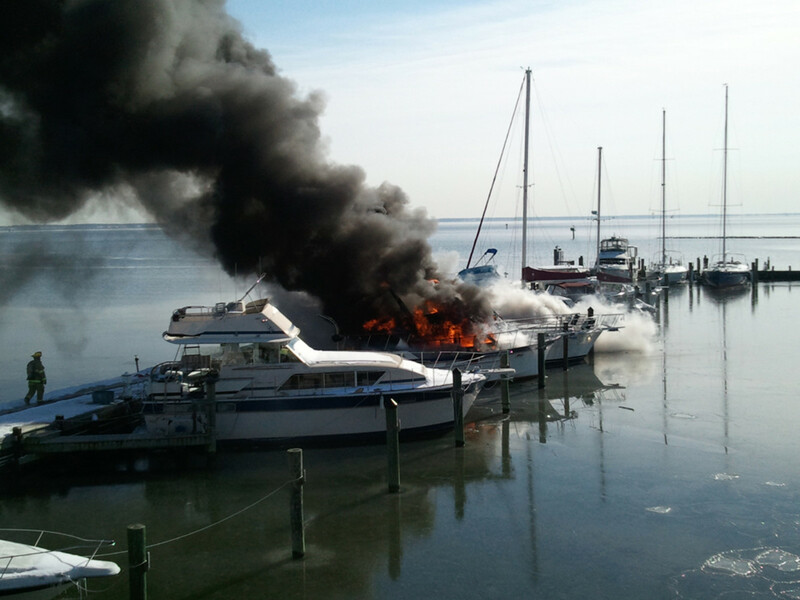 Two people living on the boat where the fire originated and another on the neighboring boat were displaced. All are being assisted by family and friends, said Capt. Janet Kiefler, a fire department spokeswoman.